You may have noticed during your own Google searches that you usually don’t go far past the first page of search results, even though there are plenty of results following that page. Why is that? Well, search engines provide the most relevant, useful, and credible answers first, meaning that they have examined all of the content on the web and ranked the organic results based on relevance to your search. Search Engine Optimization, or SEO, is the process of maximizing the traffic to your website from organic search engine results. When the term “organic” is used, it means the search results that have not been paid to appear on the results pages. In order to optimize your own website, think about what keywords your buyer persona would be searching for, because those keywords will help search engines find your site when a search includes that word. Another way to help develop a keyword list is to think about common questions within your industry, questions that your company provides the solutions to, and questions that someone may ask when deciding whether to buy your product. Use these questions to develop a list of keywords that may be searched for and create content centered around those keywords. If a website link appears high on the search results page, it is much more likely to be clicked on by the searcher, therefore driving more visitors to that website. Traffic to your website can be increased further by writing descriptive meta descriptions, which appear as part of your listing on the search results page and have been shown to increase click-through rates. Traffic can be tracked in order to see what is working and what is not working so that adjustments to your SEO strategy can be made if necessary. Optimize more than just your website, make sure your social media is on-point too. Read 5 Ways to Optimize Your Social Media. SEO is an important part of generating traffic and leads online. 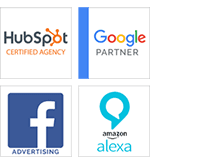 Your competitors are most likely doing it, and if you’re not actively working on improving your position within the search engines, you will lose ground. By adding new content, promoting it on social media and earning links back to your site, you can improve your position in the search results and ensure that the clicks and business that may have gone to a competitor goes to your company instead. If your page is optimized on a search engine then people will see your brand name more easily and again, will be more likely to click on your link. This in turn will help build awareness of your brand. Also, if your brand shows up on the first page of Google, that increases the credibility of your page as well since people trust Google as a brand itself. Want to learn more about the relationship between Inbound Marketing and SEO?